In a country where over half the population will be affected by hair loss at some point in their lives, many will be seeking to find a solution to the psychological and physical effects of losing hair. Whether it’s through male or female pattern baldness, alopecia areata or temporary hair loss known as telogen effluvium, the effects of hair loss can be profound and very distressing. Therefore it’s no wonder that scientist and hair experts all over the world are carrying out research to find the most up to date and effective solutions. One of the latest developments in hair loss research has been undertaken by French cosmetic brand, L’Oreal. They have teamed up with Poietis, a French bio-printing company, with a view to collaborating to gain a greater insight and understanding of hair biology and growth in order to find a solution for hair loss. Some of the latest developments that L’Oreal and Poietis have revealed include the possibility of using 3D bio-printing to produce artificial hair follicles that can then be used in hair replacement procedures. The research is still in the early stages, but L’Oreal has already been using 3D bio-printed skin in the development of some of their skin products; and now they are expanding into hair research as well. At this stage, their intention is to grow hair from 3D printed hair follicles to be used in hair product trials, but there are also reports of them developing a “grow your own hair” kit for hair loss sufferers. 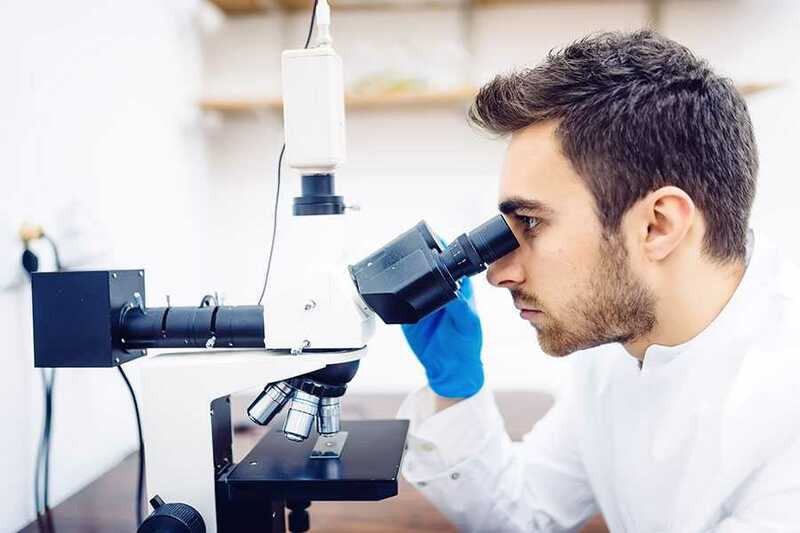 Naturally, there is still a great amount of research and testing to be done before L’Oreal and Poietis can even begin to look at the possibility of using 3D printed hair follicles in hair replacement procedures. In fact the actual printing of a hair follicle is yet to be done, but Poietis believe it is entirely possible. However, the cell construction of a hair follicle is much more complex than skin cells, so it may take some time to do. Despite it being early days, these latest developments to find a cure for baldness still mark exciting and significant progress for hair loss research and technology. However, until more is known, the Wimpole Clinic will continue to provide outstanding FUE and FUT treatments for hair loss. These procedures are proven to deliver high success rates with patients and also offer an effective permanent solution for hair loss, even if several procedures are required. We use cutting-edge technology and expertise to ensure we are always up to date on our procedures and practices. And rest assured, if there’s anything to report on a new solution for hair loss, we’ll make sure we let you know.